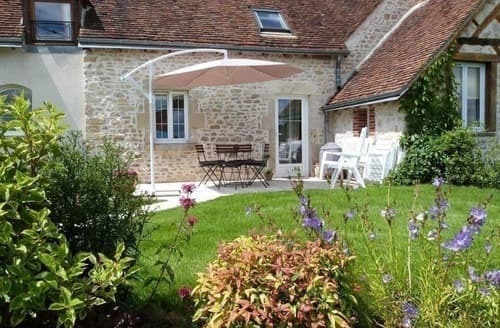 What our customers are saying about our Holiday Cottages In Centre Val De Loire To Rent. 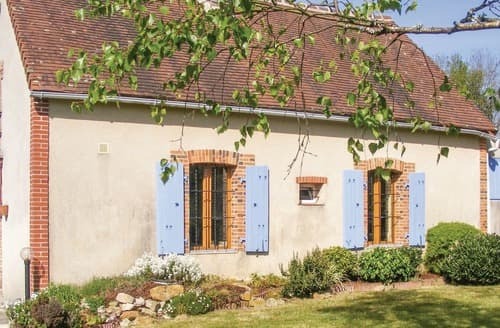 "This is a very traditional gite. 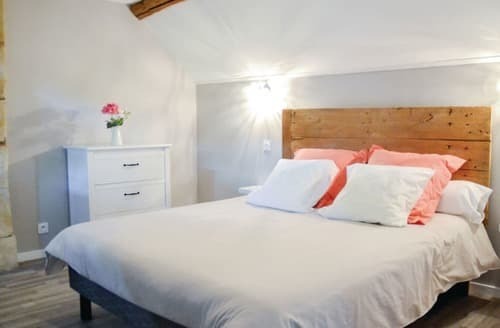 We stayed in early June.The beds are very comfortable, (we brought our own linen, pillows & mattress protectors) there are three bedrooms - two doubles one of which only has a velux window, the third bedroom has bunk beds. As the bedrooms get hot the owners have kindly provided fans to aid a restful sleep. The bathroom has a shower over the bath - put the shower to full power to ensure hot water flow. Remember to bring your own towels for both the bathroom and swimming pool. The kitchen is reasonably equipped, the oven doors requires assistance to keep a good heat seal but otherwise very efficient, there is a dishwasher and washing machine so remember your tablets, powder and tea towels. 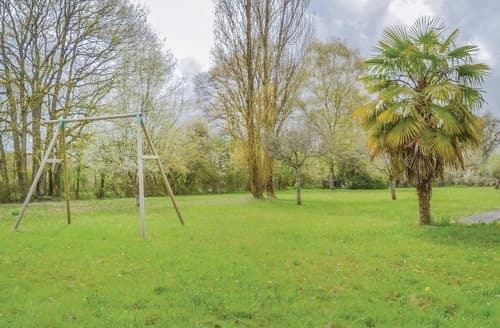 The living area is also comfortable, the TV does have english channels including CBeebies and a DVD player (does not take blue ray), a high chair is provided and in general is a large comfortable space. Outside there is a barbecue which is great along with a large table and chairs. 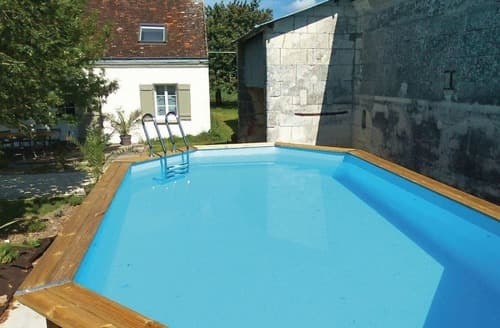 The swimming pool is wonderful, if you have good weather you will really enjoy using this on a daily basis. The gardens are delightful, very traditional with the father of the house (plus delightful dog) tending the fruits and vegetables. There is a pond at the far end - would recommend not allowing children to play in this area unsupervised. 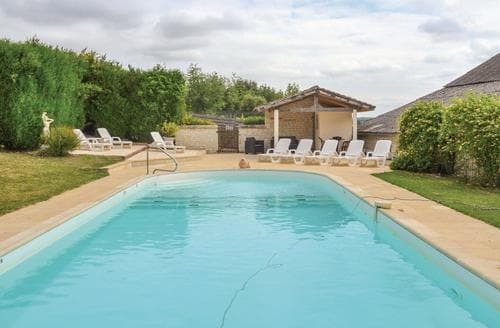 Situated outside of Chinon (15 min drive max) where there are great shops and supermarkets for all your needs. 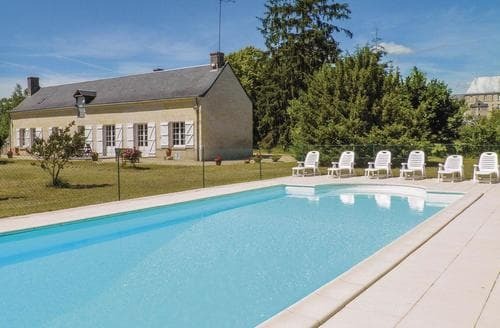 This is a great location for cycling out of as you are straight on to country lanes and roads. The owners are delightful; charming, hospitable and friendly." 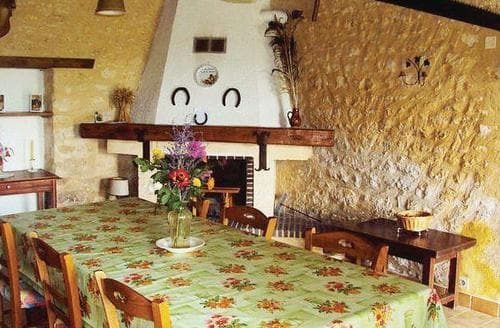 "This is a very attractive cottage in a very convenient location for many chateaus and historic towns. It’s well equipped but quite small, especially the living room which is also the kitchen and dining room. If you’re tall the beams in the main upstairs bedroom can be a problem, although we guess that’s part of the charm. It was fine for just two of us or if you have small kids but it’s not really suitable for four adults. Although the bathroom, kitchen fixtures and bedding were all spotless, the cottage needed a good spring clean - there were cob webs and dead flies in the light fittings and probably other places we didn’t look. We mentioned this to the hosts. 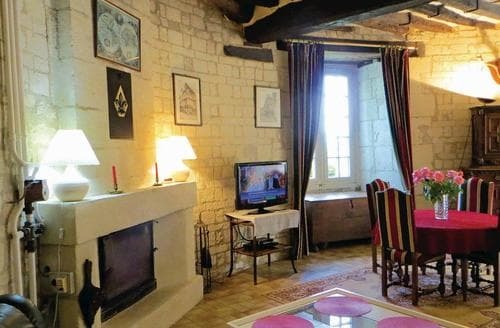 We didn’t mind the 60 Euro cleaning charge because we paid a fairly low off-peak rate, but we would have been upset by the charge if we’d paid any more given the lack of a recent and thorough clean. The hosts were very friendly and we enjoyed the outside space and bbq patio. 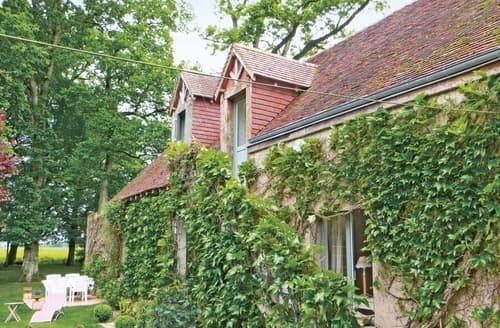 The cottage is within the hosts’ walled garden which is lovely if a little claustrophobic." 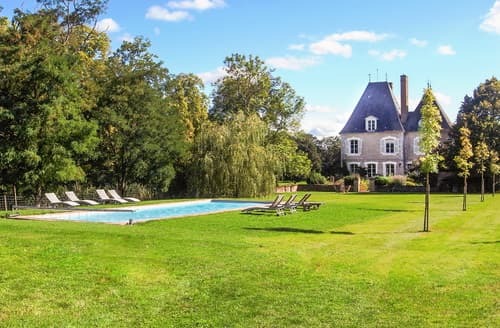 "A disappointing gite. Madame who runs it is very pleasant, but clearly lonely and goes out of her way to 'bump into you' at every opportunity for a chat, which can be difficult if you are in a hurry. The hamlet is dead. Only a bakery and a bar which opens occasionally.The village store shut long ago. 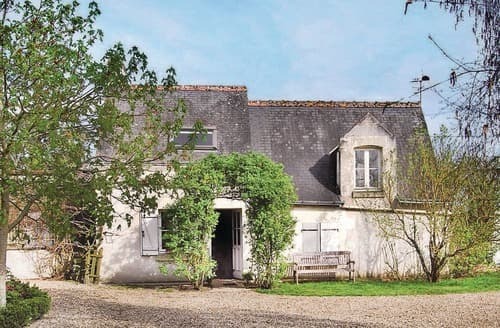 The gite is tired and dated and smelt very musty as (if the visitors' book is to be believed) we were the first people in it since last summer. The kitchen equipment is old and random with key things missing- no wine glasses, no chopping board, no cleaning materials if you chose to clean yourself. Dirty old plastic mats on kitchen table. The bed in the Master bedroom was a thin mattress on a wooden board above the bed base. The "blanket" was an old sleeping bag. It would really benefit from new kitchen equipment, beds and bedding. Not what you expect in a holiday let! Shame as we have always been impressed with your accommodation until now." 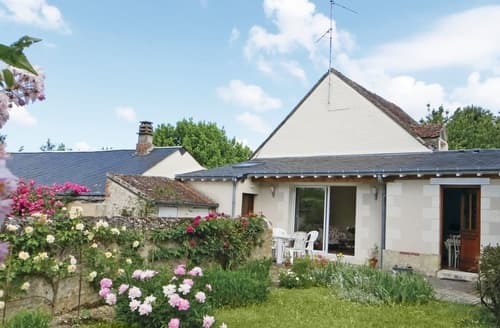 "A really lovely, peaceful and spacious* property that was very comfortable for all nine of us. 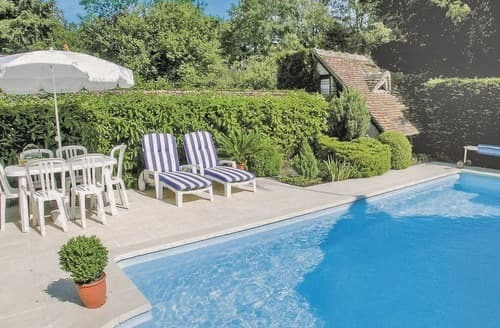 It appears to have been recently refurbished, with a large and nicely landscaped garden, and the pool was excellent and very well maintained. The proprietors were very welcoming, friendly and helpful. 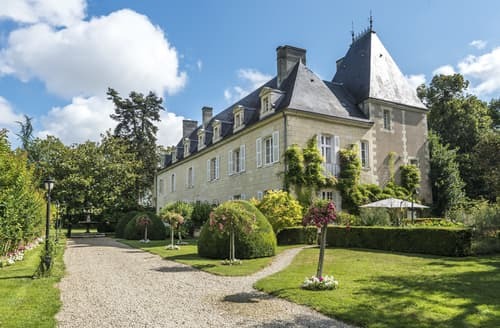 Some of the best bits of the Loire Valley are only 20 minutes away.The property is quite remote so a car is essential for getting to the shops which are very few and far between in this area. *The only thing we struggled with was the kitchen, which is tiny for a house that sleeps 12 people, and was hard work when trying to cook for everyone. 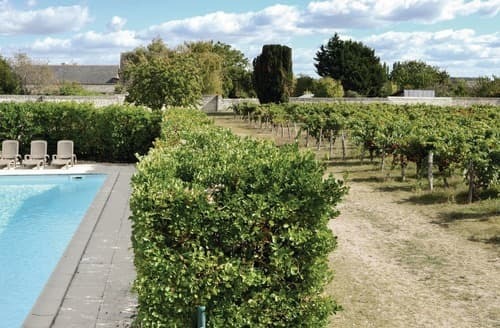 It really does need to be bigger and better equipped for that number of people.We would recommend this for anyone visiting the Loire Valley, so long as you have a car and don't mind some travelling." 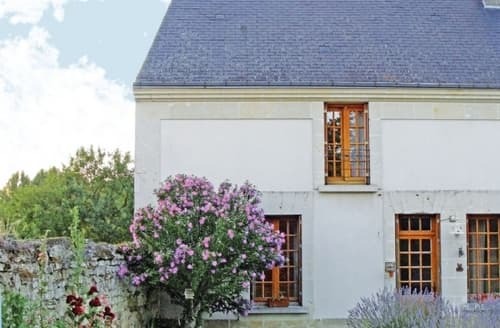 "Just outside Chinon, this spacious property was very comfortable with a delightfully friendly helpful host. 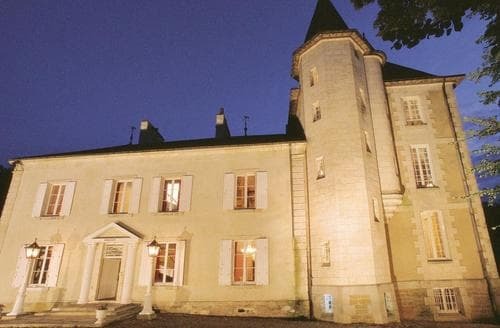 The situation and setting is truly unique as part of an historic chateau but very private and quiet with plenty of outside space. It was clean and well equipped well suited to a family or couples. 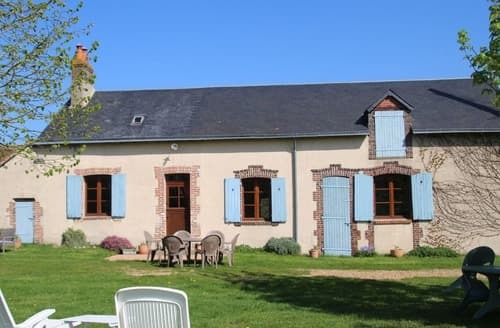 There was a lot to do locally reducing the need to travel far in the car including easy access to the river Vienne on foot at the bottom of the lane plus an established wine maker 150m away producing delicious wine from his Cabernet Franc vines. No need to drive after the tasting, perfect. 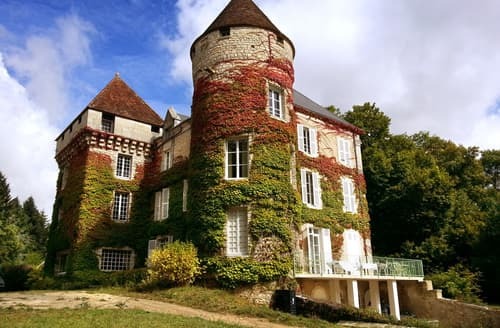 Chateau Breze with its chateau under a chateau was a favourite as well as Chateau de Rivaud just ten minutes away with its quirkiness and excellent lunch. 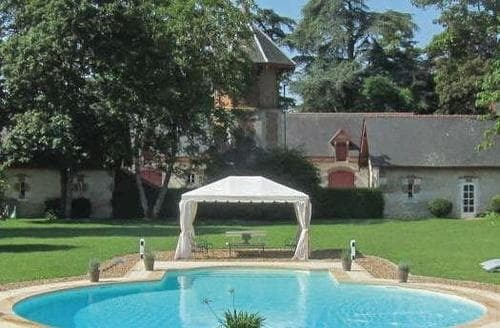 One of our best holidays in France and we have had a few, highly recommended."